Steven DeWitt is a freelance conservation photographer based in New York City. 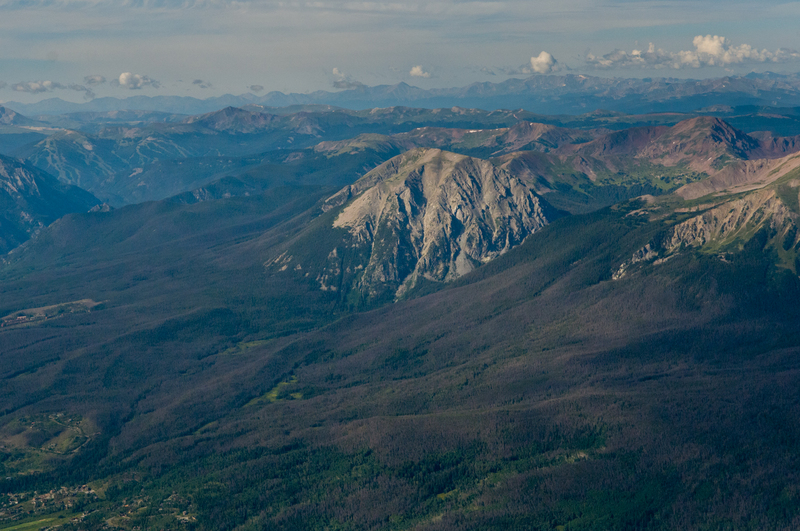 His work is being used to help promote US Senator Michael Bennet and US Representative Jared Polis’s Continental Divide, Wilderness and Camp Hale Legacy Act introduced to Congress January 2018. His imagery helps persuade state and federal policy makers to implement sustainable solutions to combat the impacts of climate change on our forests for The Union of Concerned Scientists’ Forest Health Report “Rocky Mountain Forests at Risk” and is being used to influence stakeholders to support watershed and riparian restoration efforts for a major upper tributary of the Colorado River with the National Forest Foundation. His work has been featured in numerous conservation and adventure campaigns and publications including The Pew Charitable Trusts, United States Forest Service, American Rivers, The Wilderness Society, Sierra Magazine, Earth Island Journal, Outside Magazine, 5280 Magazine, The Drake Magazine, SKI Magazine, Golden Ride Magazine, Western Rise, Native Eyewear, Mountainsmith, Teva, GoPro and Vail Resorts. 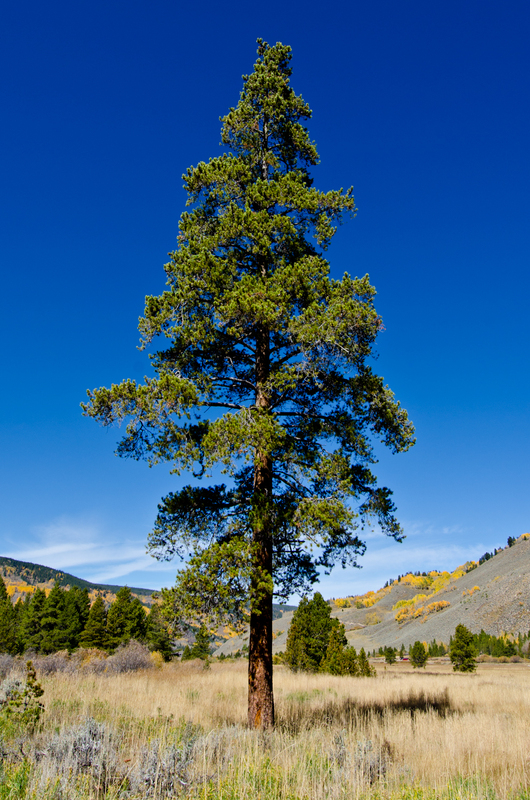 This is a Rocky Mountain Lodgepole Pine tree - Pinus contorta subspecies latifolia. Pinus contora is one of the oldest native species in North America and are Foundational Species in forest ecosystems. Their native range is from the Alaskan interior and Canada’s Northwest Territories east to Saskatchewan and the Black Hills of South Dakota, and south to Colorado, central Utah, and eastern Oregon. 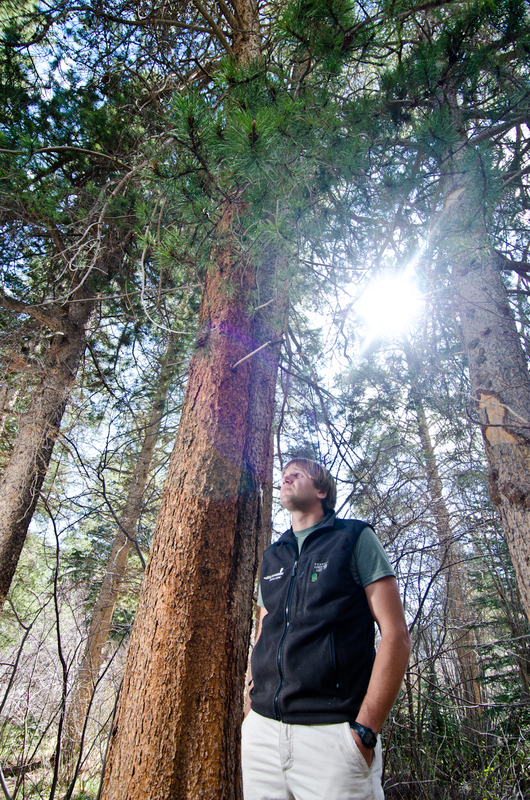 Rocky Mountain lodgepoles grow between 45 to 150 feet tall with diameters often exceeding 30 inches. For more than a decade, conservation photographer Steven DeWitt has documented the historic destruction of North America’s Rocky Mountain lodgepole pine forests and the human response to the forest loss. 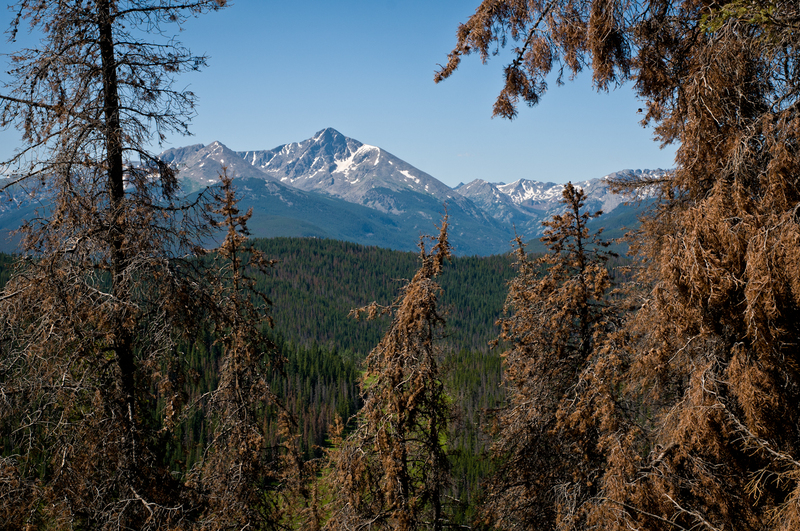 Over the past 20 years, millions of acres of lodgepole pine forests have been destroyed by an unprecedented infestation of native mountain pine beetles, creating cascading impacts to forest biodiversity. Human generated climate change was the trigger, amplifying the natural cycle and starting a chain reaction to one of the greatest deforestation events in millennia. The mass die-off of a Foundational species is alarming. So is the sudden release of centuries of stored carbon dioxide back into our atmosphere. This historic drought paired with an enormous increase in forest fuel loads dramatically increases the risk for mega-firestorms that sterilize the top 12 inches of forest soil that has taken millennia to create, making forest regeneration extremely challenging. The mission of The Lodgepole Project is present the visual truth and inspire citizens to demand bold action against climate change. Learn more at stevendewitt.com. 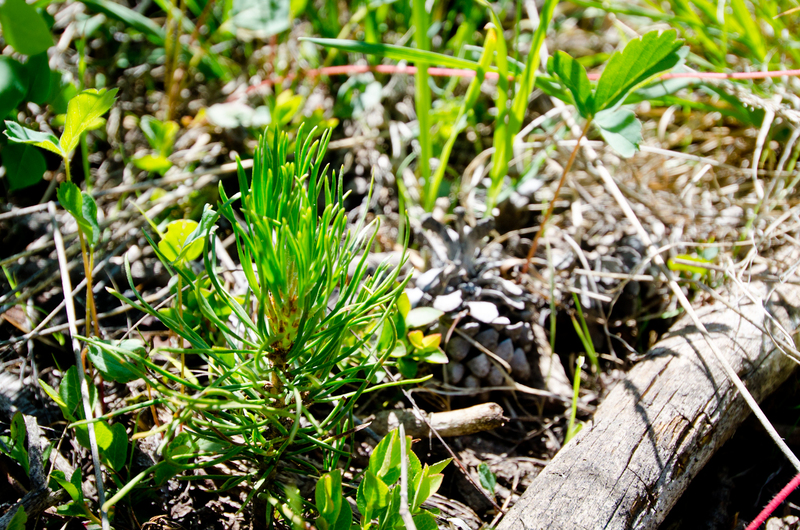 There are 15 million acres of pinus contorta in the western United States and 50 million acres in Canada. Rocky Mountain Lodgepole Pine live between 150 to 200 years but some can live for more than 400 years. They typically grow as an even-aged, single-storied, dense forest usually from the result of fire after a period of drought that produced a large number of seedlings at one time. Rocky Mountain Lodgepole Pines have come to depend on regional cycles of drought, native Mountain Pine Beetles and fire to continue the species. 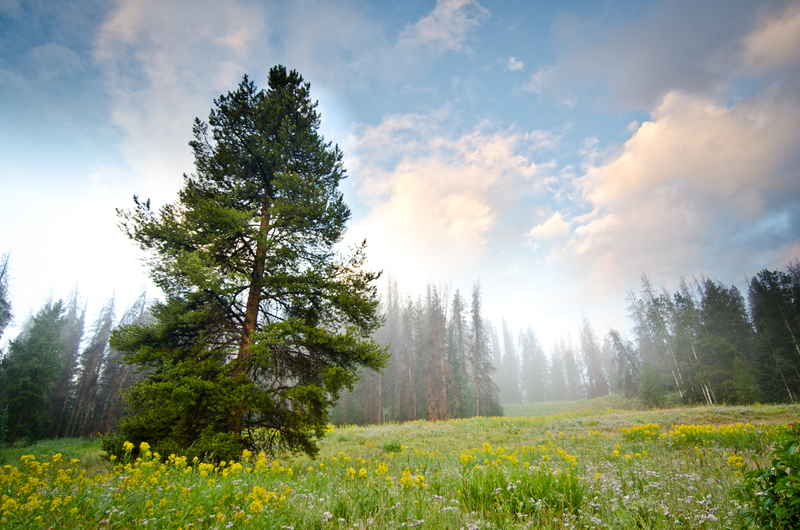 A lodgepole pine tree in its first year of life. This is a Mountain Pine Beetle. 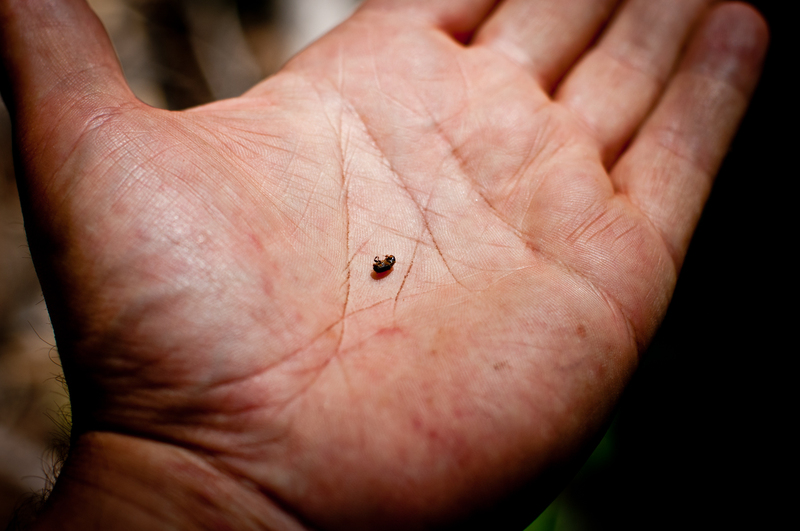 Mountain Pine Beetles are native to lodgepole pine forests and are no larger than a grain of rice. While under attack, healthy lodgepoles defend themselves against Mountain Pine Beetles using a variety of chemical weapons like pitch to drown or push back out the invading beetles. 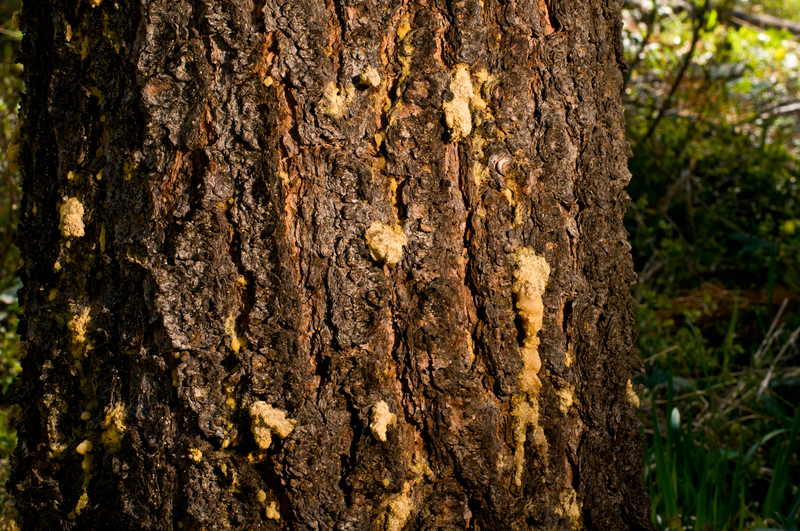 During infestation, the trees are dotted with yellow popcorn sized pitch-outs. 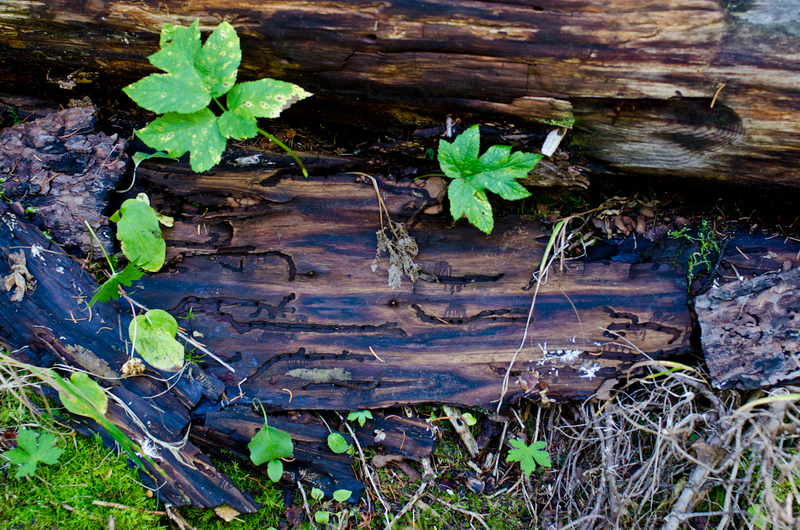 During infestation Mountain Pine Beetles carve out a network of living spaces, called galleries, inside the bark of the trees. Mountain Pine Beetles create galleries with a distinctive J shape. Mountain Pine Beetles bring with them a huge host of other invaders including a fungus that stains the insides of the trees blue. Once a lodgepole succumbs to Mountain Pine Beetles infestation, they turn a rusty, almost purple, color. This is called Red Phase infestation. As more and more trees succumb to mountain pine beetle infestation, lodgepoles in Red Phase Infestation transform entire landscapes. After infestation, the Mountain Pine Beetles take up residence in the tree where they’ll lay their eggs and eventually die. The final phase of mountain pine beetle infestation in lodgepole pine trees is called the gray phase, transforming entire mountain landscapes once deep green, into a ghostly skeletal gray color. 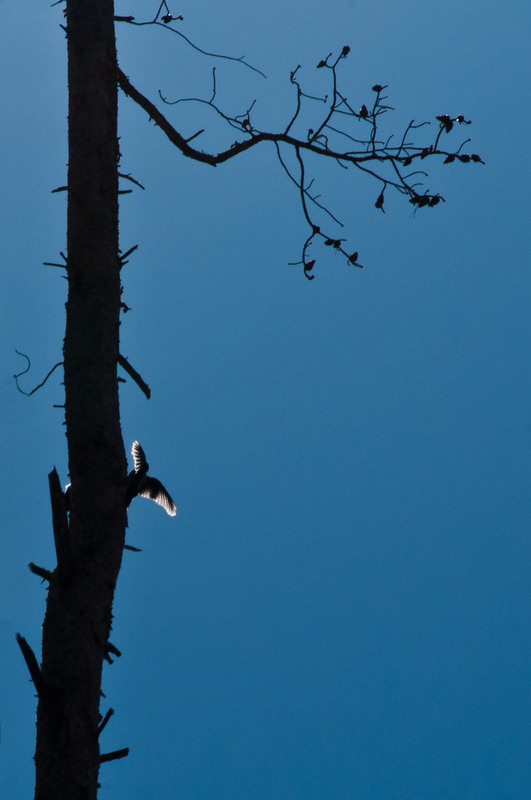 Dead lodgepole pines that remain standing in the forest, referred to as snags, provide shelter for a wide variety of animals including pine martin, squirrels and a host of birds. 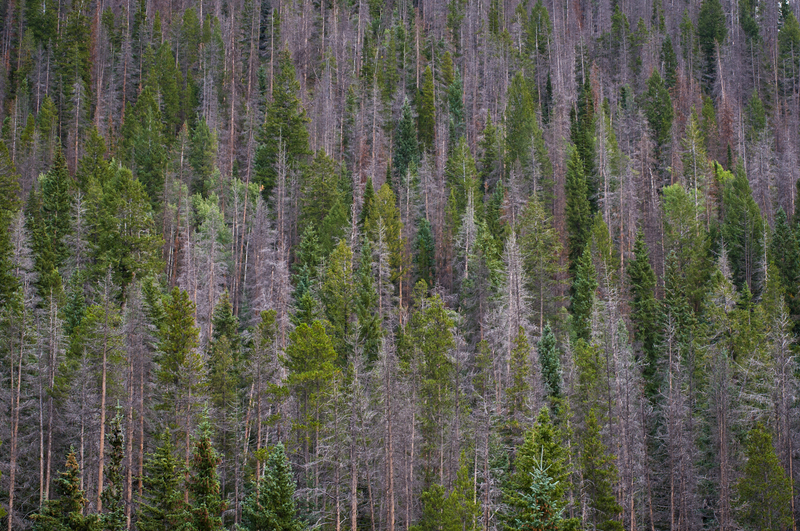 Historically, when drought weakens a forest and conditions are favorable, Mountain Pine Beetles can reach epidemic population levels and cause massive forest disturbance. 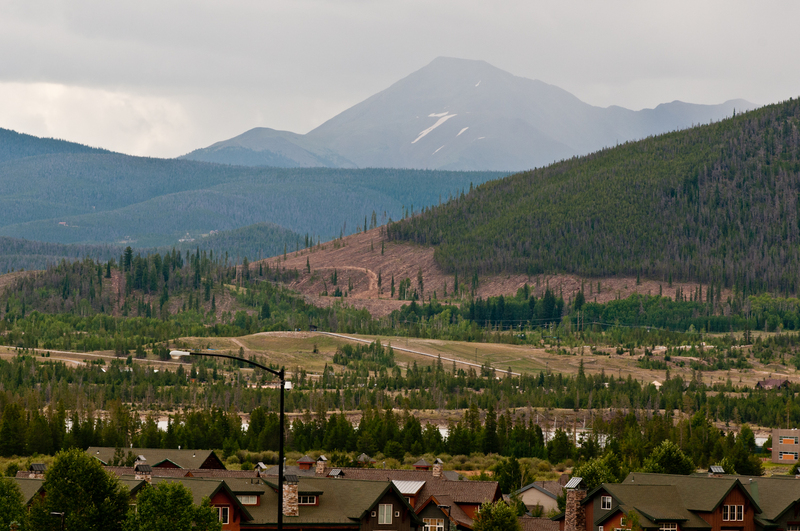 In the 1990s a range-wide Mountain Pine Beetle infestation of historic scale began. 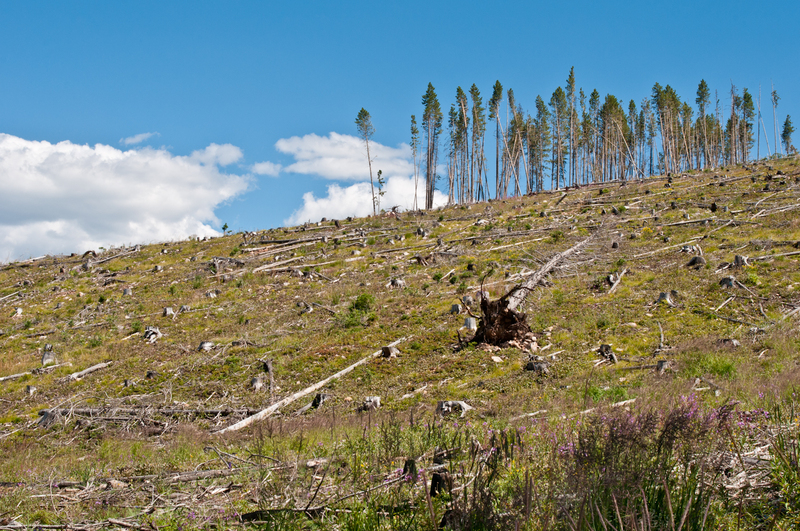 After twenty years of range-wide devastation, the infestation has been the greatest deforestation event in millennia. What's different about the most recent Mountain Pine Beetle infestation compared to historic infestation is the scope of the epidemic. 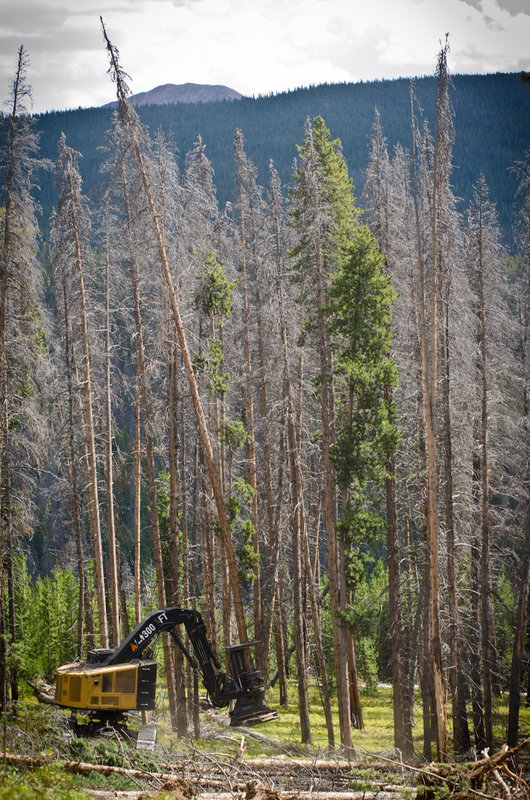 All 65 million acres of lodgepole pine in North America have been impacted at the same time. Another difference from historic infestations has been the range wide shortening of the winter season. To bring populations of Mountain Pine Beetles down to normal levels, 5 days of sustained temperatures of at least -30 degrees Fahrenheit are needed to make a significant impact. 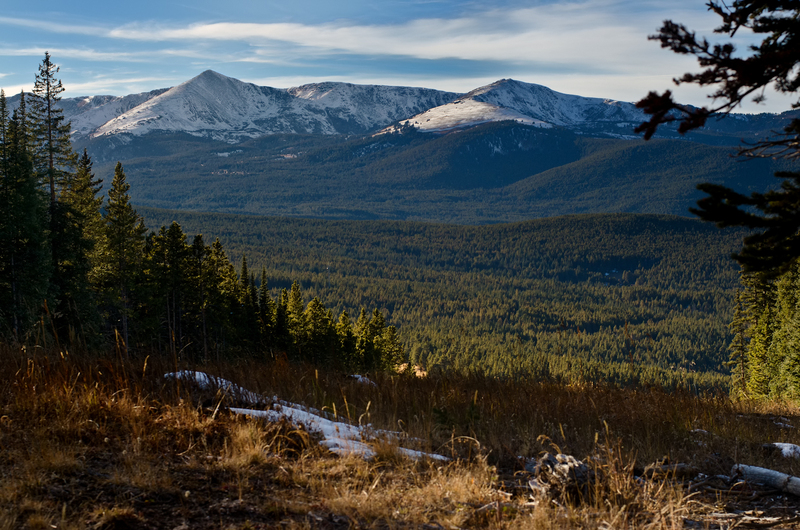 Another crucial factor in controlling Mountain Pine Beetle populations is the transition periods between autumn and spring, when the beetles are most vulnerable. Shorter winters allow more beetles to survive and increase their populations. 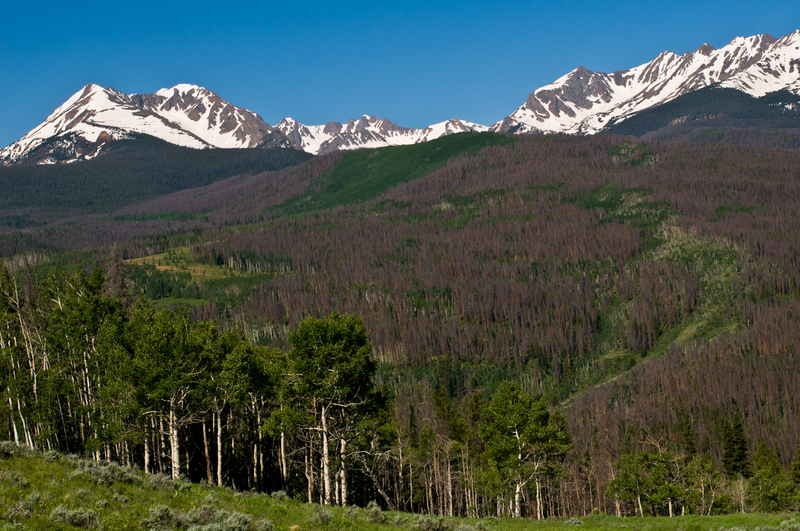 In northern Colorado and southern Wyoming alone, Mountain Pine Beetles have destroyed over 4 million acres since the first signs of this current outbreak, concentrated in the Arapaho-Roosevelt, the Medicine Bow/Routt and the White River National Forests. 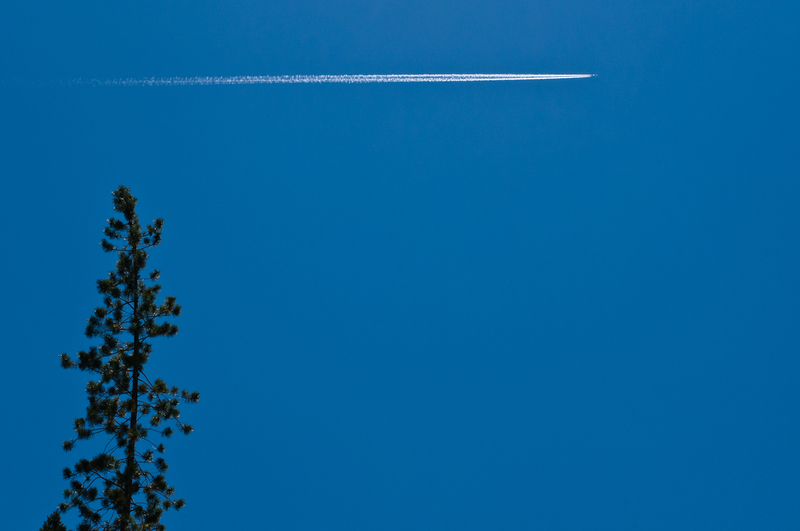 The United States Forest Service estimates that the majority of mature lodgepole pines in the US have been completely wiped out from this infestation. Thank you to LightHawk.org and pilot Jim Grady for helping create this image. Human generated climate change was the trigger to this historic infestation, throwing the forests' natural cycle completely off balance with devastating results. Many now well-established mountain communities have been built in lodgepole pine forests that historically have seen fire activity. The risk of catastrophic forest fires due to severe drought conditions which are significantly exacerbated by human generated climate change has influenced communities to try and mitigate this risk. In areas where human development interfaces with the infested forests communities have chosen to create forest buffer zones in preparation for the inevitable fires. With the help from their local Forest Service, communities are creating a line of defensible space that creates a firebreak between human development and the forests. Lodgepoles that are cut to create the buffer zone of defensible space are stacked in piles to be burned when the snows arrive. 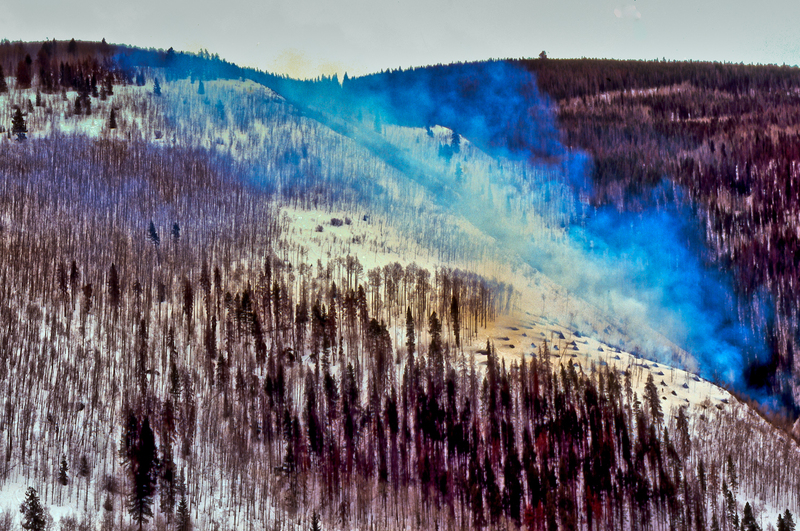 In the winter, when the lodgepole stacks are burned, the mountainsides are transformed into flickering, smoking funeral pyres. 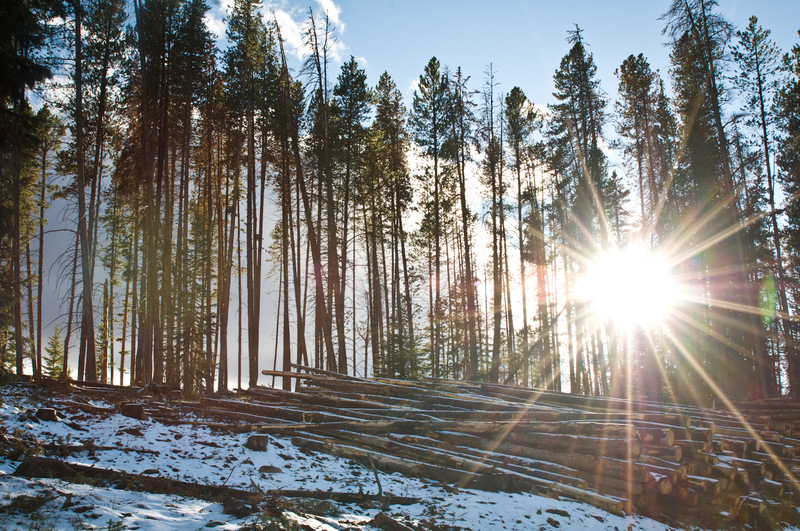 With so much forest impacted by the Mountain Pine Beetle infestation, many communities and private land owners as well as government entities such as the Bureau of Land Management and the United States Forest Service are logging lodgepole pine forests. 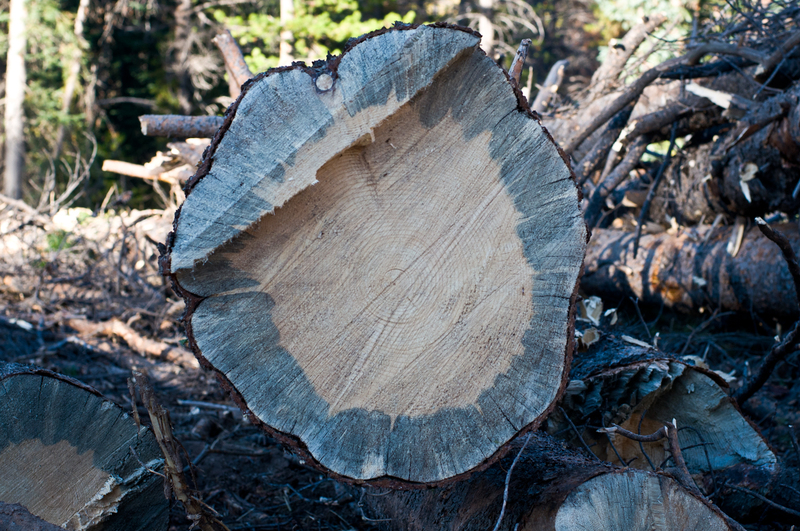 Dead lodgepole pines are being cut for marketable timber in Alaska, Washington, Oregon, Idaho, Montana, Utah, Wyoming, Colorado and Western Canada. 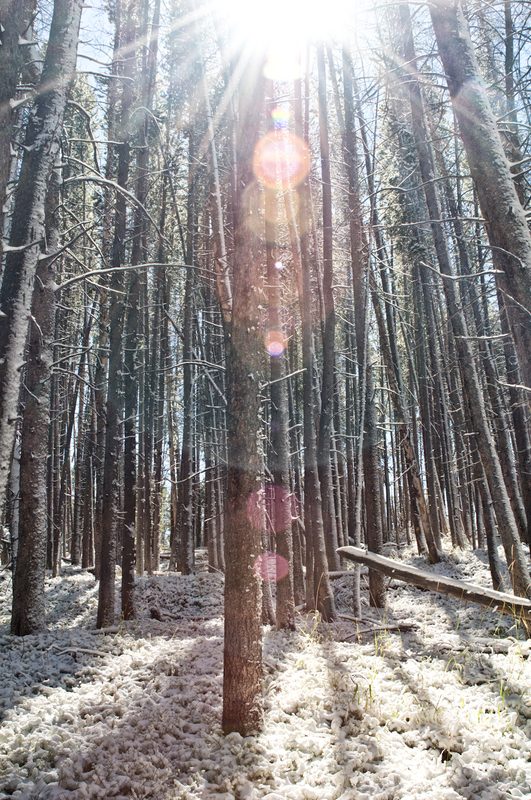 Some argue managing lodgepole pine forests impacted by infestation with clear cut removal creates a disturbance similar to a naturally stand replacing forest fire. The other side of the argument suggests leaving forests impacted by infestation where they stand allows the natural cycle to eventually restore balance to the ecosystem. 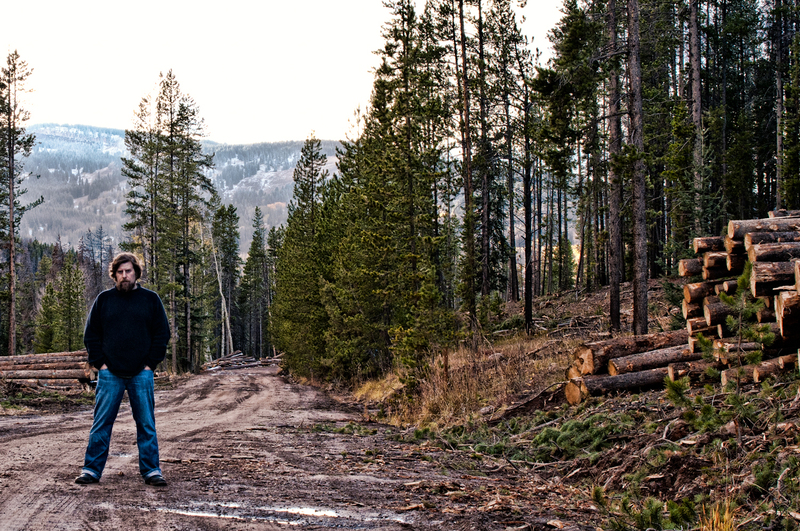 Logging is not allowed in any areas of the forest with Wilderness Designation. To further complicate the situation, biomass energy generation is creating a demand for local biomass. 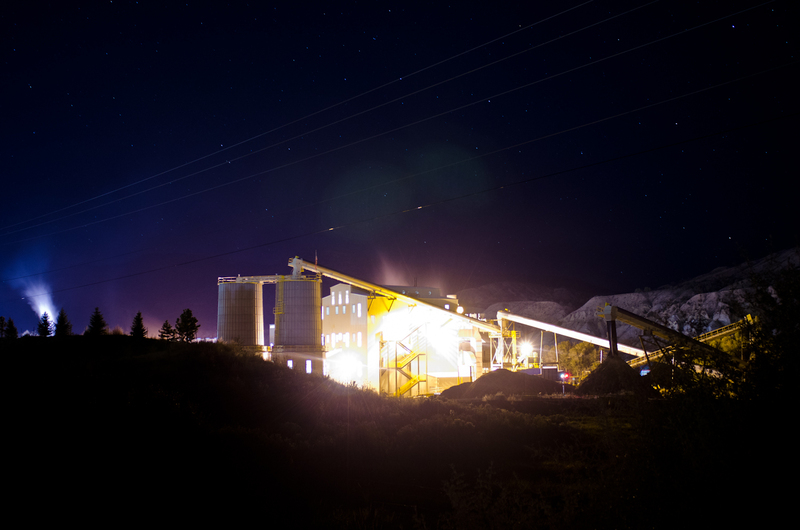 The newly built 11.5-megawatt Eagle Valley Clean Energy biomass plant in Gypsum, Colorado plans to burn 250 tons of wood every day for the next 50 years. 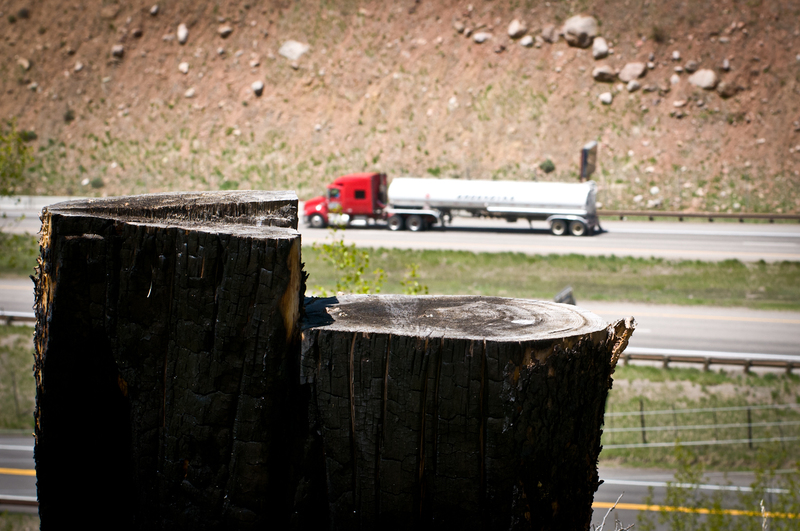 The wood is coming from Colorado’s White River National Forest. 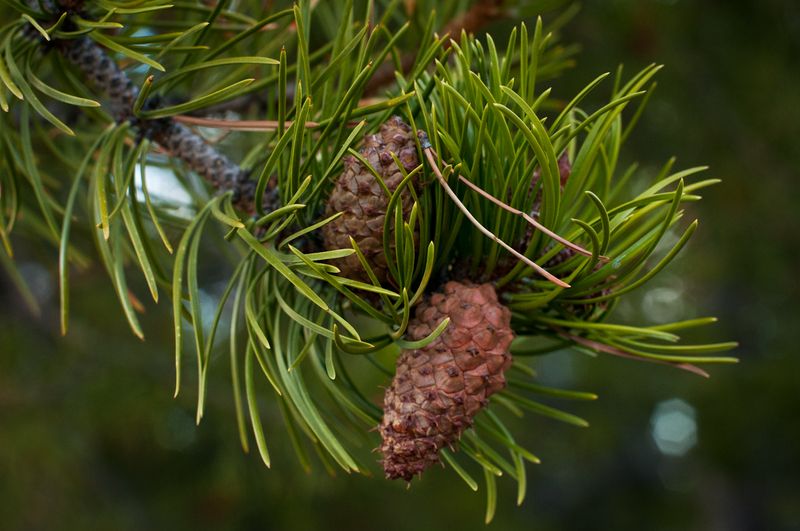 In their September 2014 forest report, the Union of Concerned Scientists identified the lodgepole pine as a key Rocky Mountain tree species that will continue to experience significant range declines if human generated climate change continues unabated. Major shifts are happening within the energy sector, moving us away from fossil fuels. However, decades of outright denial and misinformation about climate change paid for by fossil fuel interests, has spread doubt among the general public. To make matters worse, many of our elected officials are being paid by these special interests for their denial, silence and inaction. Despite a lack of leadership, citizens are demanding bold action from their leaders. Professional athlete Chanelle Sladics in a lodgepole pine forest. 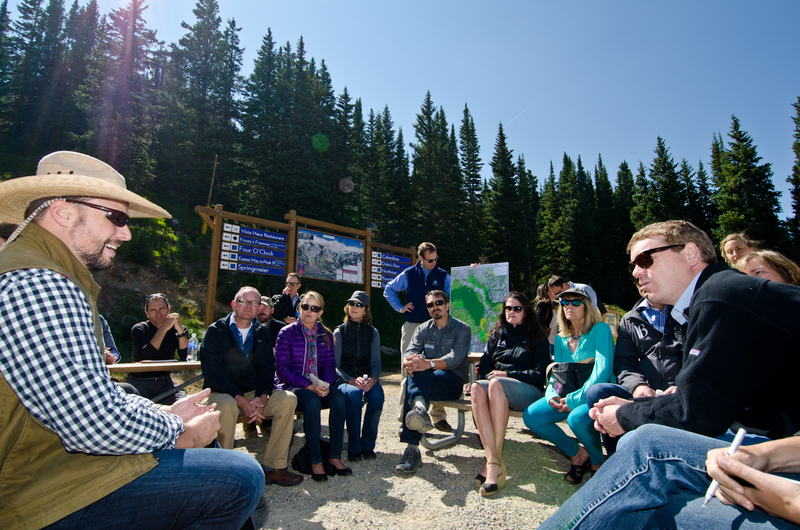 US Senator Michael Bennet meets with community leaders about forest protections. Naturalist educator Peter Suneson in a lodgepole pine forest. 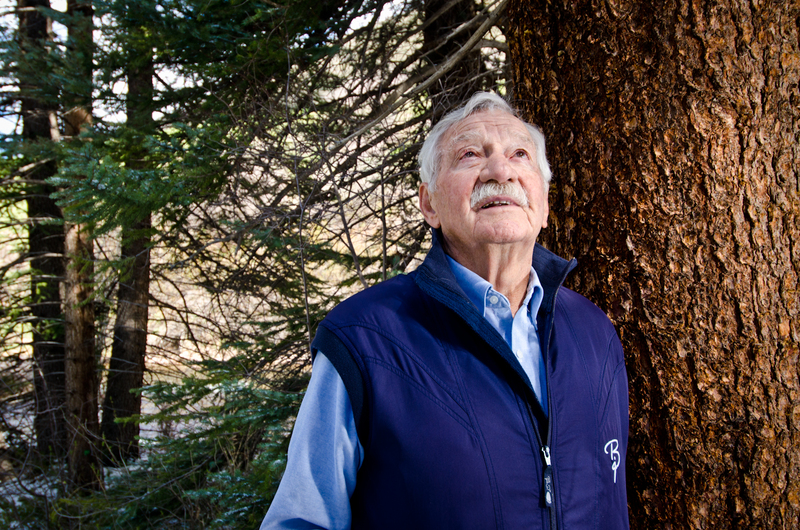 Forester, naturalist and activist Tom Gaylord stands next to a centuries old lodgepole pine tree. 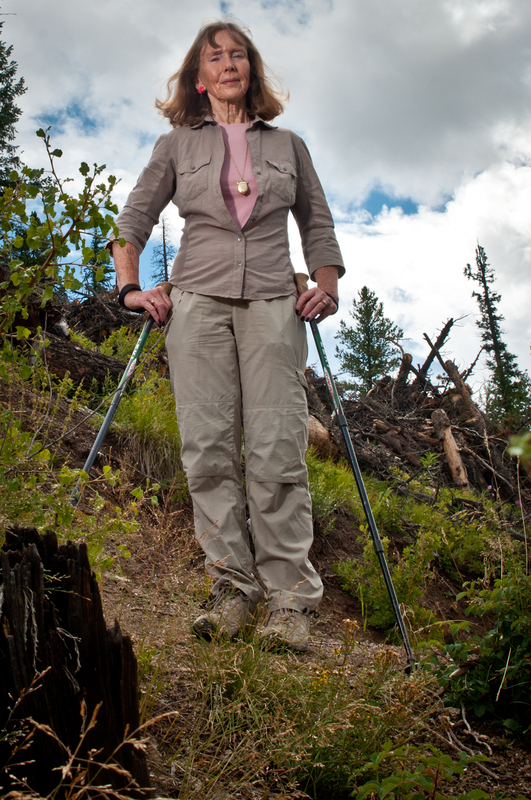 Author, historian and environmental activist Mary Ellen Gilliland in a lodgepole pine clearcut on the Colorado Trail. 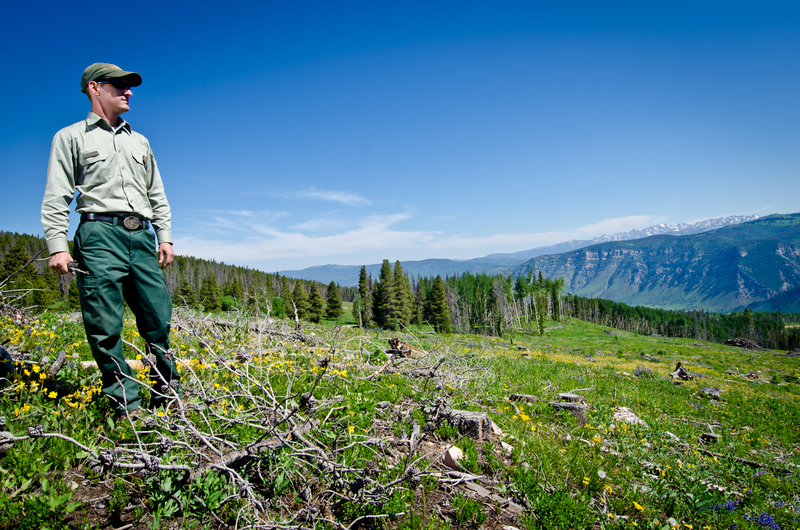 A US Forest Service Ranger inspects his lodgepole pine clear cut on the edge of the Holy Cross Wilderness.